The world’s most widely-used weed killer can “probably” cause cancer, the World Health Organization said on Friday. The WHO’s cancer arm, the International Agency for Research on Cancer (IARC), said glyphosate, the active ingredient in the Monsanto Co herbicide Roundup, was “classified as probably carcinogenic to humans”. Monsanto, the world’s largest seed, said scientific data do not support the conclusions and called on the WHO to hold an urgent meeting to explain the findings. “We don’t know how IARC could reach a conclusion that is such a dramatic departure from the conclusion reached by all regulatory agencies around the globe,” Philip Miller, Monsanto’s vice-president of global regulatory affairs, said in a statement. Concerns about glyphosate on food have been a hot topic of debate in the United States recently, and contributed to the passage in Vermont last year of the country’s first mandatory labeling law for foods that are genetically modified. The U.S. government says the herbicide is considered safe. In 2013, Monsanto requested and received approval from the U.S. Environmental Protection Agency for increased tolerance levels for glyphosate. Glyphosate is mainly used on crops such as corn and soybeans that are genetically modified to survive it. The weed killer has been detected in food, water and in the air after it has been sprayed, according to the report from the WHO agency. However, glyphosate use is generally low in and near homes where the general public would face the greatest risk of exposure, the report said. The evidence for the WHO’s conclusion was from studies of exposure, mostly agricultural, in the United States, Canada, and Sweden that were published since 2001. Carcinogens are substances that can lead to cancer under certain levels of exposure. Monsanto’s stock price rose 0.3 percent on Friday to $115.75 after setting a four-month low on Thursday. I believe the WHO organization needs to continue to do testing and to follow those tastings and call it like it is i. E., glyphosate is carcinogenic and is therefore “cancer causing”. The question remains, do we want “a little bit of cancer, or a lot of cancer?” How much poisoning is acceptable? A zero tolerance level is what is acceptable for poison consumption by humans, animals, and all live creatures. How stupid, sick and deranged do we want our civilization to be. 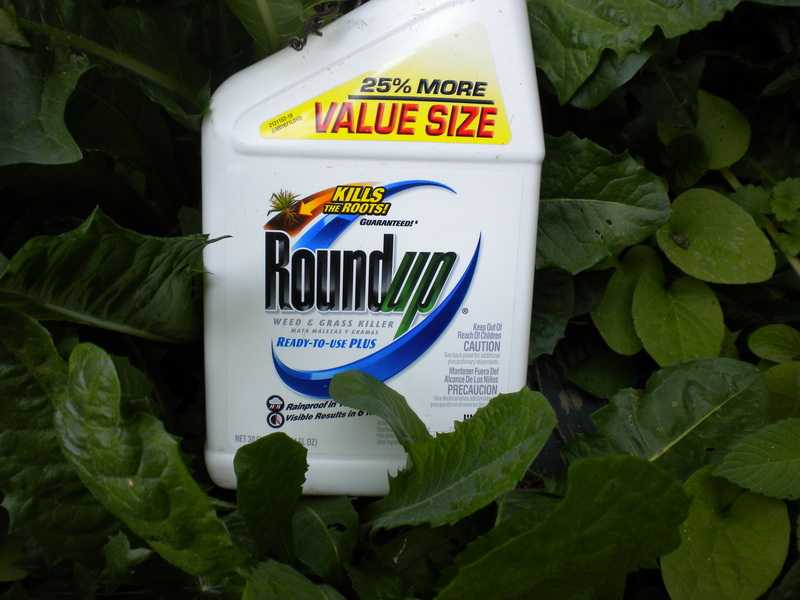 Roundup and glyphosate is carcinogenic and is therefore non consumable. Get it out of our food, air and water!